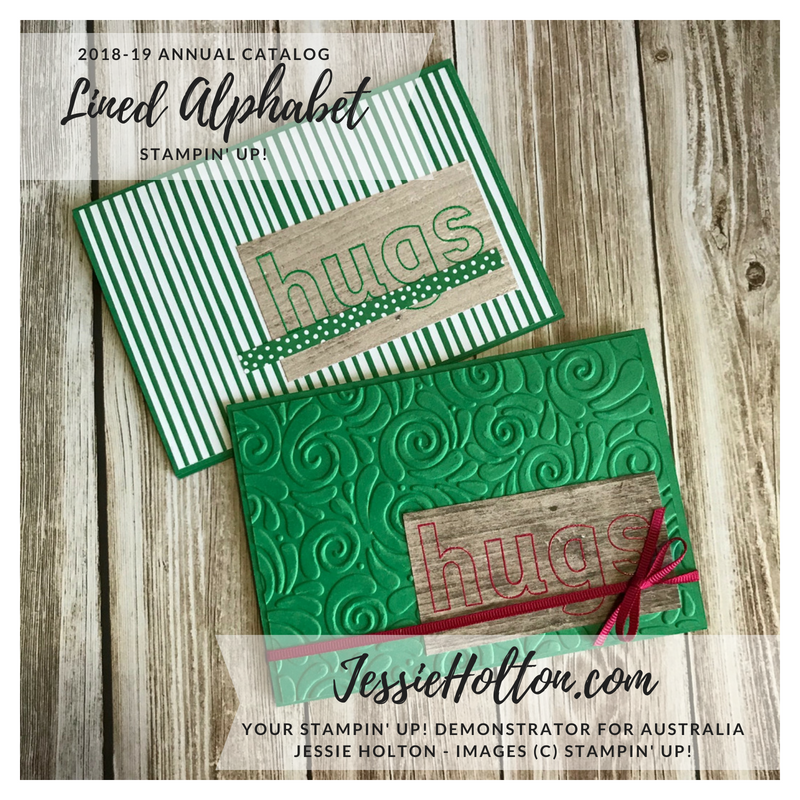 Jessie Holton - Aussie SU Demo : Lined Alphabet Stamps with In Colour DSP & Embossing Powders! 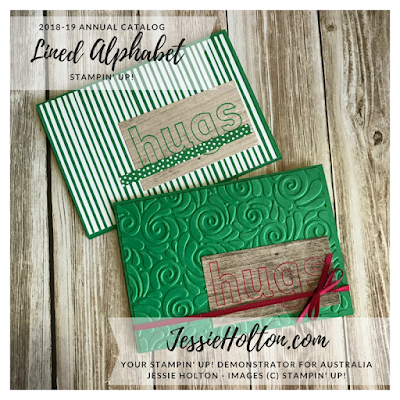 Lined Alphabet Stamps with In Colour DSP & Embossing Powders! How are you today? Today I thought I'd show you the matching set to the cards I showed on Wednesday, with the Lined Alphabet Stamps & the In Colour Designer Series Paper (DSP) & In Colour Embossing Powders. I am in love with these bright embossing powders! I have done one card in Call Me Clover embossing powder & the other in Lovely Lipstick embossing powder. I have also used the In Colour DSP, In Colour Cardstock & In Colour Ribbons. You can also see the Wood Textures DSP & the Swirls & Curls Embossing Folder, which I love & I am finding so many uses for! So far those include florals, sea, mud, and bushes! What do you see? Here's a few of the products shown in this card. Remember to use my October Hostess Code B6F6R27F at the bottom of your Shopping Cart & get a handmade card & a gift from me each month you shop with me!